In its eighth year (Last year was incorrectly reported as year 5. 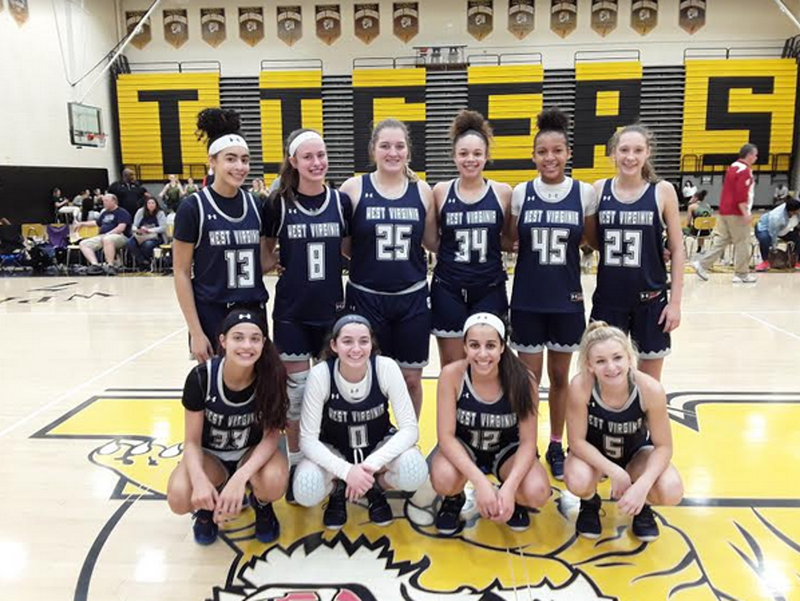 ), the Western PA Bruins Tip-Off Classic saw 265 teams do battle in 25 sites (44 courts) spread over the metropolitan area of Pittsburgh, Pennsylvania, during the weekend of April 5-7, 2019. With NCAA Division 1 and 2 coaches unable to attend, 29 NCAA Division 3 schools from Pennsylvania and nearby states got to watch some quality action running from grade 4 to rising seniors. Although most played in divisions within their own grade, some competed up a year or two. The event was sponsored by the Western PA Bruins, a club with a history dating back over 30 years! Through thick and thin, the organization continues to be the preeminent club in the western portion of the Quaker State. Special kudos goes to the event organizers for providing a coaches’ packet with few rosters missing (often an issue in these “dead period” events). 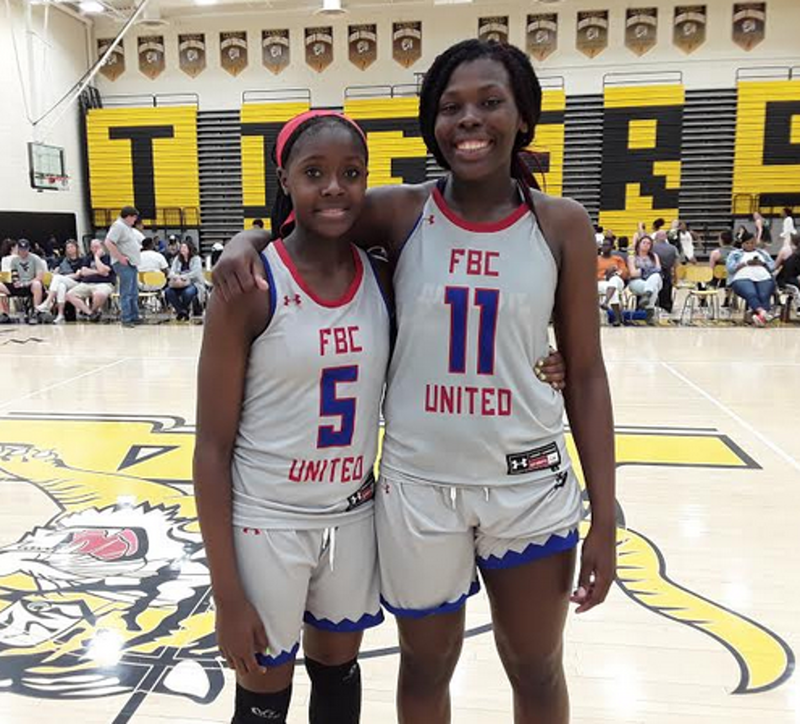 FBC United Hunt 41-38 Team Takeover 17U EYBL This contest featured perhaps seven national top 100 players in various classes. Tied 22 all at halftime, the lead went back and forth in the second half. The closing few minutes saw FBC nursing a lead of a couple of points and held on to win by three. At times, Team Takeover was more efficient but thanks to Raven Johnson’s (see below) steady point guard play and Olivia Cochran’s (see below) game high 21 points, FBC pulled out the win. Liatu King (see below) led a balance Takeover with 11 points. WV Thunder Johnson 2021 73-62 Western PA Bruins Murray This game was decided by three factors. The Thunder club is known for running good half good offense and with both teams fatigued the Thunder went up 42-33 at half. They maintained at least a six-point lead for the entire second half. The Bruins were additionally hampered by essentially no rest from the semi-final (supposed to get just over an hour) as its court was running late. Finally, the Bruins had no answer for the Thunder’s low-post scoring led by Hannah Roberts (5-11, center, 2021, St. Joseph High School, WV) with 15 points. The Bruins were led by Ashleigh Connor (5-10, shooting guard, 2022. Mt. 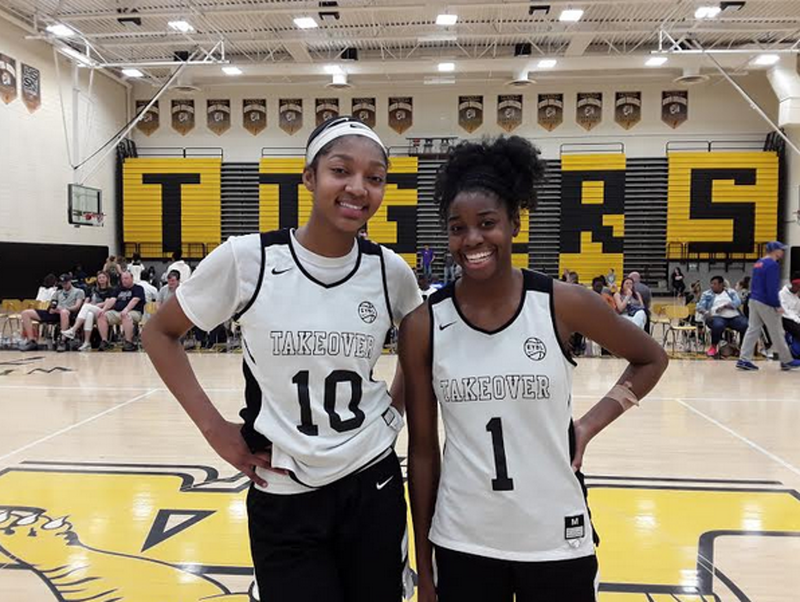 Lebanon High School, PA) and Kennedie Montue (5-11, shooting guard, 2021, Plum High School, PA) with 11 points each. Players below are listed alphabetically within class with height, position and club team. As information was available, high school/home state is listed in parenthesis. Cochran was our unofficial event MVP. 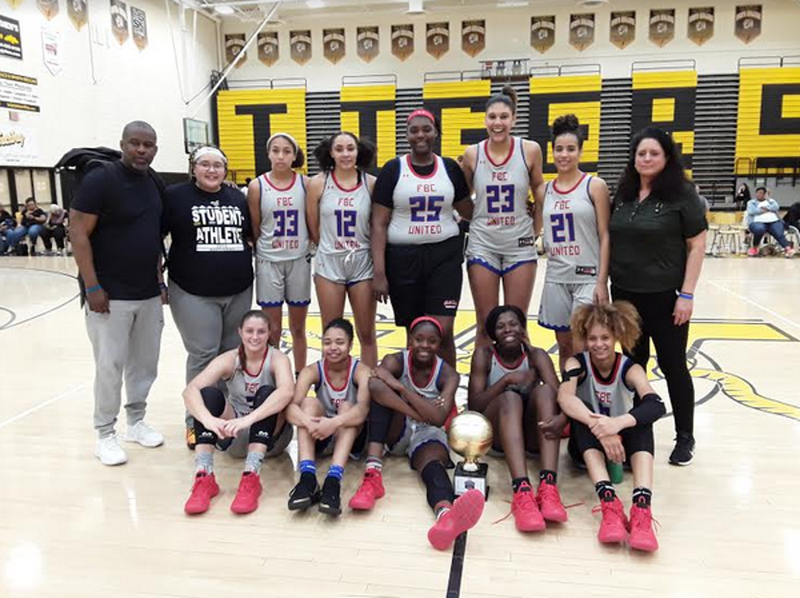 She played hard and was productive leading her team to the Elite Division (top section of rising seniors or younger) title. Cochran has dropped some weight and showed better movement than when last seen during the fall. She also has increased her range a bit so she is not just scoring near the rim. She has multiple Power 5 offers in hand. Orally committed to George Washington, Gingras combines field generalship with scoring ability. She showed both a willingness to drive and shoot the three some. King played a secondary role this year on a powerful Bishop McNamara team but with graduations should figure more prominently this year. A good athlete, she showed an ability to shoot the midrange jumper. She has offers from the Power 5 level and down. McLean again showed what she does best, scoring in the paint and playing hard. Is there a better leaper in today’s club game? She has numerous Power 5 offers. Orally committed to George Washington, Perea showed a nice face up game. She moves well and lets the game come to her. A good athlete and Power 5 prospect, Pitts looks to attack the basket off the dribble. She also showed that she can hit the midrange shot. Reese is well known as one of the top forward prospects in the 2020 class. What is most impressive is her ability to defend both in the key and on the perimeter. She handles the ball well enough to help get it up the court. However, scoring is still primarily near the basket and improved shooting range should be a priority for her. Walker played on one of the top high school teams in the nation this year during which she was not the primary scoring option. At this event she was very active in the key rebounding and blocking shots while scoring some. She was more productive than during our viewings during the high school season. White is new to high level club ball and not yet being highly recruited. That should change shortly as she is clearly a Division 1 prospect. She plays hard with physicality, scoring in the lower paint. Building some shooting range within a face-up game should be a top priority. Andrews showed a nice stroke in the wing to baseline area of the perimeter. She can drive the baseline but probably could become more adept in that skill. Davis may be relatively small but is fearless in attacking the basket. She also is willing to share the ball be her mentality that more of a combo than true point guard. Goins has a nice stroke off the catch and has decent handles. She needs to fill out some and get stronger. That may well determine how high up the Division 1 ladder that she will be recruited. As one of the top 2021 point guards, Raven has been written of on this site several times before. What was most impressive here in helping her team to the Elite Division title was how cool and composed she was under fire. She restored offensive order when teammates badly needed direction. Her shooting appears to be coming along as well. A good athlete, Richardson attacks the basket well. She also has a nice mid-range stroke. Power 5 programs are lining up. A coach’s daughter, Shumate has a quick release from behind the arc off the catch. She runs the court adequately. A definite Division 1 prospect, improving handles some and even more so a willingness to embrace physical play will determine how high she will be recruited. Weakley has a nice perimeter stroke and can attack some off the bounce. She runs adequately but could tighten up her handles. Already with Power 5 offers, Wiggins, a lefty, is light on her feet, has smooth handles, good court vision and changes direction well with the ball. Although she had an off-shooting day in her team’s loss on Sunday, word in the gym was that she shot the three well during the high school season. A highly athletic Power 5 prospect, Wiggins can elevate going to the rim but also has a mid-range stroke. She plays good D but might need to add more shooting range if Sunday’s play was representative of her game. A pair of identical twins, the Arnolie’s not only look alike but have similar skills. Both have decent handles, court vision and stroke off the bounce but as young players still need to refine these. Cutting down a bit on turnovers might be another thing to work on. Bransford still needs to improve her shooting range as her game is very “get to the rim”. She is so physical that keeping her out of the lane is easier said than done. The opposition is still working on this so far unsuccessfully! Latson recently moved to Atlanta from the Fort Lauderdale, Florida, area. She is a big-time, athletic open court player. She defends well but needs to work on shooting the ball in quarter-court settings. A quality athlete with Power 5 interest, Mobley looks to get to the rim to score and hits the boards well. She can guard a post or perimeter player. Adding shooting range should be on her to-do list. Sunday is a field general with good court vision and adequate stroke and footspeed. She needs to tighten up her handles versus pressure defense. A quality athlete with Power 5 interest, Whitehorn can attack the rim or hit the mid-range shot. She handles well enough to contribute some at point be it not her most natural position.